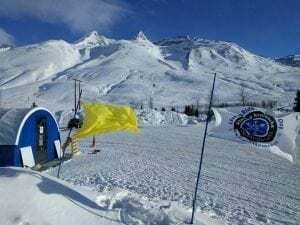 2018 VAC Information Kiosk – Look for the blue quonset tent in the ONE LOVE pullout southside of MP 29 (across from Alaska Snowboard Guides, Magpies on the Fly, and Tailgate). Plan your Thompson Pass adventures. Get your avalanche information, weather update, and map here. VAC staff will be around each morning 9-10am to answer questions you may have. Read Thompson Pass avalanche, snow, and weather forecasts posted on the whiteboard daily. Share your observations.